The electric bicycle console is usually located on the handlebars - where it is connivence to look at during cycling and it doesn't interfere with other parts, like the brakes for example. The most basic functionality of the console is to display how much battery power is left. Otherwise, how would you know how many more kilometers are available for you to enjoy the electric assistance before you will need to go back to the stone age and start pedaling without any assistance. The batter power indicator is just the beginning, there are a lot of other functions that can be utilized into the monitor of the bicycle. Let's cover all of the function, from the basic ones to the most advanced, cool and sophisticated functionalities. The electric bicycle is designed to assist you while you riding for a specific amount of kilometers. The precise number of kilometers depends mainly on how much energy can the battery store, but it also depends on many other factors like - the rider amount of pedaling, head wind, road condition, tire pressure and much more. In order for the rider to know how much batter energy is left, some kind of indicator should be located in the console. 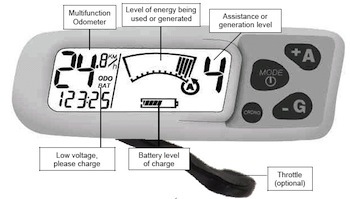 The basic indicators show the available range based on some kind of measurement of the energy reserve of the battery and there are more sophisticated indicators that bring into account other factors so the assume projected range will be more accurate. There are consoles that consists of 3 LEDs. Usually 3 ON LEDs indicates full battery and 1 ON LED indicates that the battery is about to die soon. This kind of display can be very misleading and we will see ways to overcome it in later on. using a display that are resemble what we get in regular cars. Each console conducts the range based on different calculations and so there are consoles that are more accurate then others. But in any case, it gives far more information then the 3 LEDs consoles and it delivers far more accuracy and certainty. Another basic and important indicator and the trip length. Every regular road vehicle shows this kind of information. But many electric bicycles manufactures don't include an odometer in there consoles. In my opinion, there could be a couple of reasons for this. First of all, manufactures tries to keep prices as low as possible. Electric bicycle are considerably pricy and many people are not willing to spend a lot of money on ebikes yet. Integrating a odometer to the bicycles means that a some kind of LCD display should be incorporated instead of inexpensive LEDs display. Second, electric bicycles are not regular vehicles. They are unique in the fact that even when the battery gone completely dead you can still pedal. Also, there are a lot of odometer devices in the market. Many bicycle cyclists use them so if you want to buy one for your electric bicycle it shouldn't be a problem. There are even a very sophisticated one available so you are not restricted to the one that come with your electric bicycle, if it consists of one. On the other hand, a regular odometer can't include data such as battery power, assistance level and all other electric related info and I guess that you don't want more then one console on your handlebar. Therefore, if the electric bicycle do come with a LCD display, it should defiantly include such a basic information as driving length. There should be also an option to display the total riding length. It should give you information on how many kilometers the electric equipment provide you so far. Also, every manufacture usually promote there electric bicycle buy advertising the range that the battery can gives you during it's life cycle. If you also pedal frequently and don't let the electric motor to do all the work this number should be higher then what had been written in the ad. Anyhow, it can be a good indicator on how many kilometers you have before the battery will begin to die. Also, it can be an indicator for a misleading information if the battery died long before it reached it's suppose mileage. Apart from the total length, a single length measurement is also nice. As I wrote in the last paragraph, the battery power indicator isn't always accurate. If you have a measurement of your current ride length, you will start to have a feeling, over time, on how much kilometers you have left until the battery will be empty. 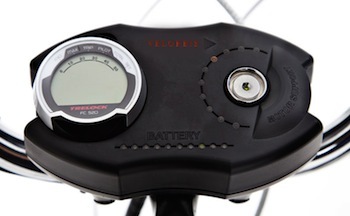 It can be even more accurate the the batter indicator cause you will gain a good knowledge on how much your pedaling is helping the motor and also how much pedaling you need to do in order to pass a certain amount of kilometers. And one last thing. Many cyclists (and I'm one of them) love to know the amount of distance they've already crossed with there bikes. It gives a sense of connection to the bicycle and also something to brag about. Also, you can calculate how much money and pollution you saved and the numbers could turn out to be amazing and maybe even overwhelming. As same as then length meter, the speed is also quite a basic function. Every motor has it's own top speed. This top speed is determined due to the performance of the motor, but in most cases the top speed is restricted by laws and this speed is usually lower then the speed that the motor can give you. To read more about what laws exist in different parts of the world click here: What are the Electric Bicycle Laws? Knowing the speed can show you if your electric bicycle are legal or not. Moreover, it is fun and nice to know your speed. I bet that everyone like to know what is the top speed of there bicycle without pedaling and with pedaling. I certainty do! Also, measuring of the average speed can be helpful to. Besides, it may help you to know what is the best power consumption speed. For that, you will need to have some other indicators related to power consumption. You will find more on that below. Another cool option would be to set your bike to cruise control driving like in a car. This feature is related to the controller abilities. But before setting on the cruise control, it is nice to know what is your current speed. It is of course not as important as in cars but it can be a nice bonus. The speed of bicycle can be converted easily to RPM (Revolutions per minute) if you know your bicycle tire size. Some people like to know this data. The power of the electric bicycle is really come to effect when climbing hills. 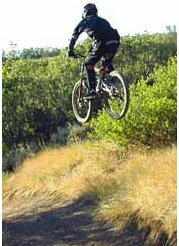 Those very steep slopes are no longer a problem and basically everyone can enjoy a ride in a hilly terrain. A nice addition would be to know what is the hill slope you are just climbing, in that way you will learn how your electric equipment is handling sloppy hills and maybe learn some techniques to achieve better performance and power consumption. The electric bicycles as a whole are divided to two main categories: Pedelecs and Throttle E-Bikes. 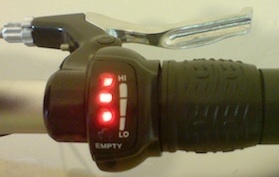 Briefly, the throttle kind behaves like a scooter or a motorcycle and the pedelecs are unique. They come purely to enhance your own power and not to replace it. The motor comes to help you just when you pedals, otherwise it just won't work. There are even some countries where the pedelec option is the only one allowed by law. 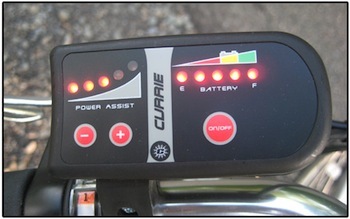 When the pedelec (or pedal assistance) option available, the console should give you the option to choose the level of assistance. Ranging for 0%, 25% all the way to 100% and more. For those of you who want more juicy information, think about a display that will show you how much power is given by the motor vs. how much power is putted by you. And if you have this kind of information, why not include also your heart rate level. By that, you will be able to determine what is the most appropriate assistance level that suits your specific condition. Some electric bicycles have sophisticated controllers which allow varied braking energy to be stored back in the battery, this is like turning the motor into a generator. This feature is mostly useful when driving downhill or when you use the brakes. Generating energy doesn't come for free and you will notice a more then usual resistance when this system is turned on. For that reason, in electric bicycles which offers this capability, the console should give an option to select the amount of generation and there are consoles that offer this. 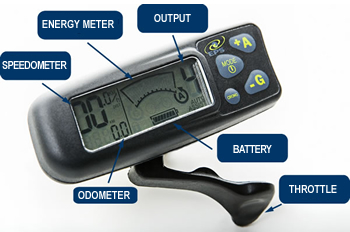 For the more technical savvy, for bicycle technicians and for just about any one else that want, for example, to diagnose a problem with their electric bicycle a monitoring device is essential. The basic data output of this kind of device should be the instantaneous Amperes, Volts and Watts the are being drawn from the battery. 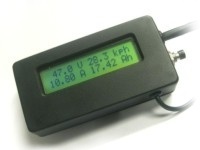 To read further about bicycle power meters, click here. 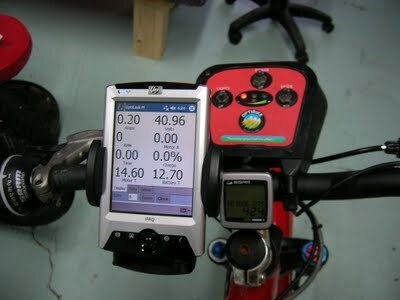 Why not includes some built in display into the electric bicycle? It can be even a cool touch screen that includes a GPS and access to all the other features and options that has been mentioned in this page. The electric bicycle is not just a bicycle for leisure riding in the weekend. It is a real transportation vehicle that most probably will take you faster to your destination then the public transportation or your car inside an urban area. Therefore, installing a GPS system on it makes a lot of sense. A bicycle has far more option to reach it's destination. It can use the road, together with the cars but it can also use the sidewalks, park trails and etc so a good GPS software has a real change to help you find a shorter a faster route. The GPS can also be used to calculate the amount of energy that is needed in order to reach your destination. Based on the distance and the route condition, the console can tell you if you have enough batter power and maybe even advice you what kind of power assistance you should use. 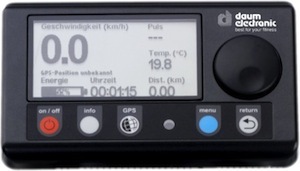 You can always install your own GPS device on your bicycle (I did) but it is not always so elegantly integrated and it also can't give you the more advanced information that only integrated system can calculate - such as the amount of power required to reach your destination. Backlit - If LCD available, it should be possible to back light it so it can be seen in dark conditions. Water resistant - There are electric bicycles that are fully water resistant. You can expose the battery and the motor to quite a heavy rain. Hence, the console should be resisted to water also. It must be located in some sealed box. With today technology, it should not be a problem to manufacture such device at all. Data Logging - Advanced consoles may log real time parameters (Like what I talked about in the last section and other sections above) and have a computer port so that this data could be transferred to a computer and be analyzed. It can be useful for performance diagnostic and also for finding problems with one or more of the electric components. Alarm - Electric bicycles are quite expensive. You can have some kind of insurance to protect you in a case of a theft. But, why not incorporating a programable alarm to the console. It will surely reduce the risk of the bike being stolen. Not everything is about technology and features. I personally always looks for the elegance and beauty in most of my purchases. It sometimes holds more value then adding another little feature. It's applied also here, in the electric bicycle world. Below is one of the most elegant console that I came around, it is designed by Velorbis which is known for there stylish bicycles designs.